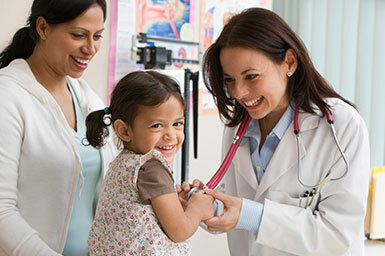 We specialize in the treatment of children's cancer. Our clinicians from the Department of Pediatrics at the UT Health San Antonio Long School of Medicine provide cutting-edge clinical care for childhood cancers. We work with a multidisciplinary team at UT Health San Antonio MD Anderson Cancer Center to develop therapies that are specific to each child’s needs. We are supportive of family and caregivers as everyone copes with a cancer diagnosis, treatment, and quality of life issues. Call 210-743-2300 to speak with a scheduler. On your first visit to our clinic, please bring insurance cards and a complete list of all medications and dosages that your child is currently taking. If you have images or scans, please bring the CD with the images or scans saved in DICOM format. Our treatment team believes in a comprehensive approach to cancer care. We will listen and work with you to develop a treatment plan specific to your diagnosis. Meet the Treatment Team. If your child is an existing patients and you would like to speak with this clinic directly, please call 210-743-2300. If you need to fax information to this clinic, please use 210-702-6012.